Have you ever spent hours working on a document only to lose all or most of your work at the last minute? It is a problem that we, too-often, observe happening at the library. With this in mind, I’d like to tell you about two free cloud storage resources available that will allow you to create documents without the risk of losing everything at the last minute (they save automatically). If you are not familiar with “the cloud”, cloud storage refers to online document storage. Your documents are saved to an online account and can be accessed from any internet-connected device (computer, smartphone, or tablet). One of the more popular cloud storage options for document creation is Google Drive. 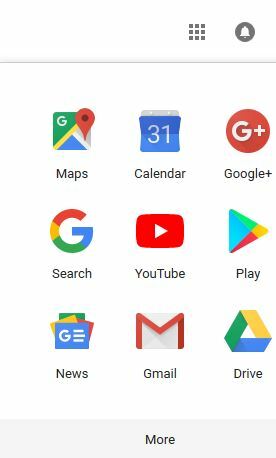 If you have a Gmail account, you already have access to Google’s collection of free tools that will allow you to create word processor documents, spreadsheets, slideshows, and more, that will be saved directly to your Google Drive account. You can get to Google Drive directly by typing drive.google.com into the browser and then logging in with your Gmail address and password. Drive can also be accessed directly from your Gmail page if you click on the menu icon in the upper right hand corner of the screen (it looks like a square made of smaller squares; see image) and then select Drive from the options. Google Drive isn’t the only option for document creation with cloud storage. Another popular tool is Microsoft Office Online. Microsoft Office Online can be accessed via Microsoft OneDrive by logging in with your Microsoft email account (Outlook, Hotmail, Live) at onedrive.live.com and features a free, basic version of Microsoft Word, Excel, and PowerPoint. You can also access these tools by logging into your live.com email account and clicking on the menu icon in the upper left corner of the screen (it looks like a square made of smaller squares; see image). 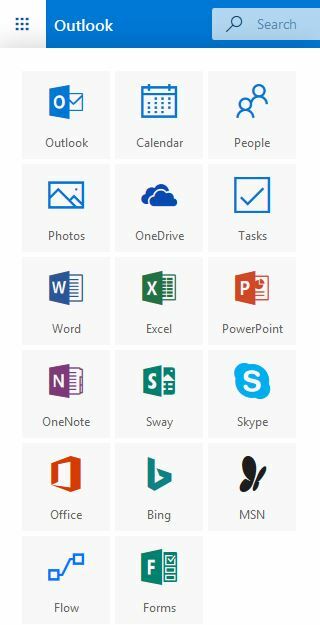 From this menu you can select from a number of tools including Word, Excel, and PowerPoint. Documents that you create in the cloud can be downloaded and saved to local storage devices (flash drive, external hard drive, or computer), printed, or accessed from your smartphone or tablet (downloadable apps are available). For more information about creating documents by using cloud storage, below are some video tutorials that you can view that demonstrate how these services work. Some of the videos require a CCLD library card to access while others are freely available to everyone. This entry was posted in Beneficial Bits n' Bytes and tagged cloud storage, free resources, video tutorials by Jennie Lewis. Bookmark the permalink.